Two things today. First off, here’s my piece on Hamilton’s vintage signs. Do have a look at the similar stories on all the other OpenFile city sites because there are interesting reads across the country. Or maybe I’m biassed by my love of old signs? 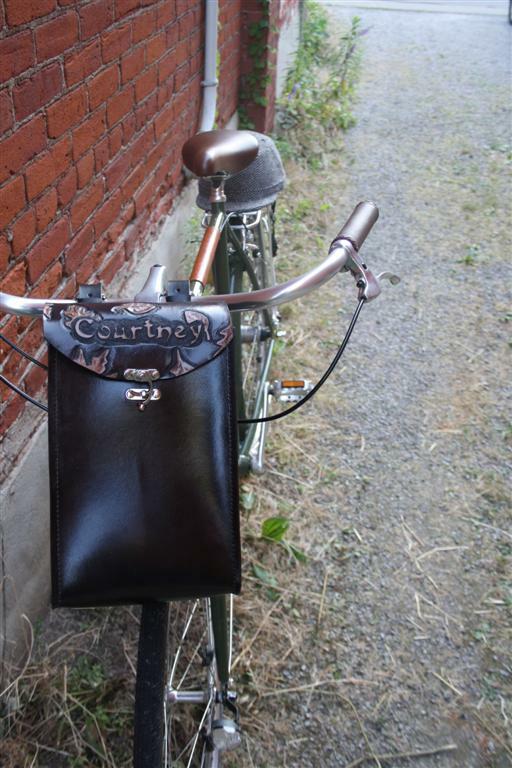 Secondly, one of the secret projects I was working on last week – a custom handlebar/rear rack bag for Courtney of The Beehive. Her sneaky Dad commissioned this for her birthday. I’m pretty happy with it. I’ve been meaning to put together a couple larger bar bags with a removable purse strap for ages now so it was good to have the chance with this one. Specs? This guy is 10 (tall) x 8 (wide) x 4.5 (deep) inches. Done in a veg-tanned leather that I hand-stained black. 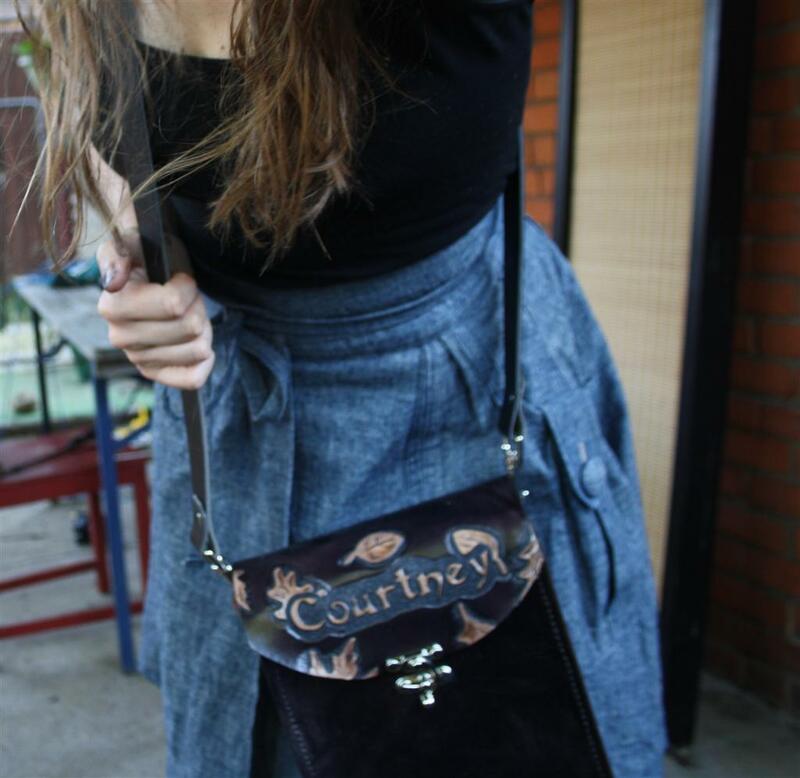 Hand-tooled design was painted with three coats of resist to achieve the lighter colouring on the letters and leaves. 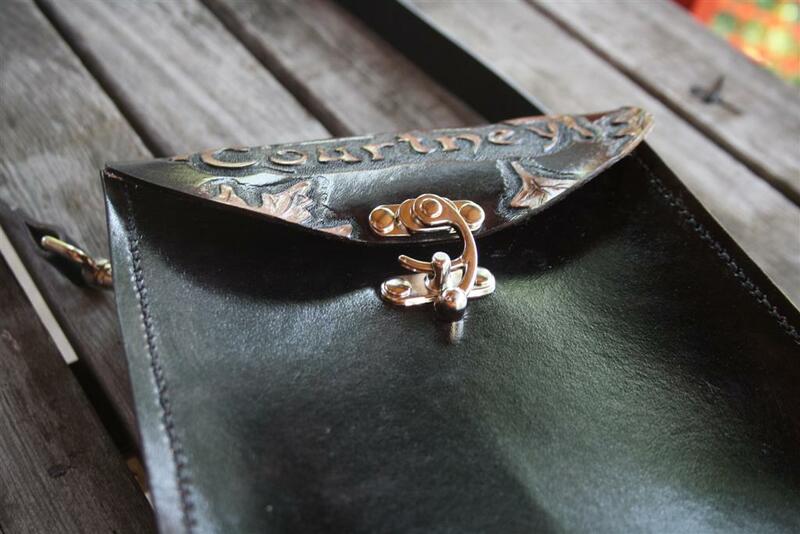 Solid silver hardware includes roller buckles on the rear straps (to reduce friction over the life of the leather) and swivel snaps on the removable shoulder strap so you don’t get any twisting. Silver swing lock. Hundreds of hand-stitches done with waxed linen thread. I’m putting a deposit listing for custom bar bags in the shop right now. Amy – the bag is amazing! I was very happily surprised.